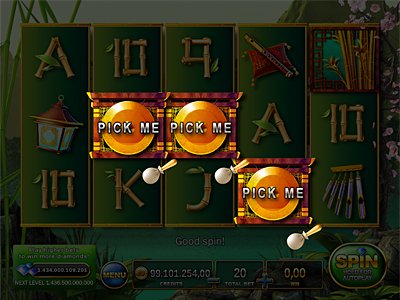 Welcome to our new adventure! 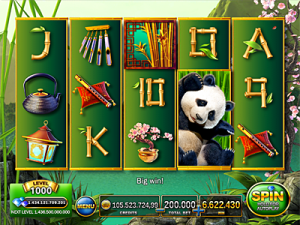 Play on 50 win lines and discover two exciting bonuses! Pick one of the winning “Gong” symbols to claim your prize! Good Luck! 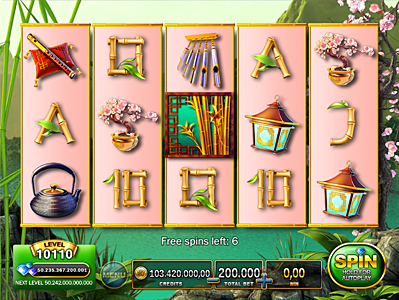 3 “Bamboo” Symbols trigger 7 powerful free spins with re-triggers on special reels!